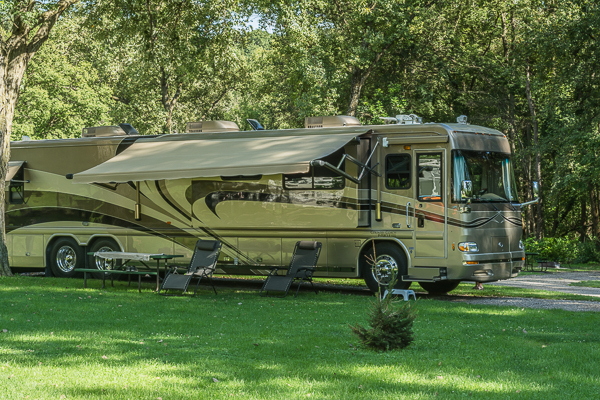 Thanks so much to Russell and Anna for insisting that Storm bring me and the coach to camp in the Decorah City Campground at Pulpit Rock. In addition to the warm hospitality of our hosts, we also savor the wholesome friendliness of this recreation filled small town. 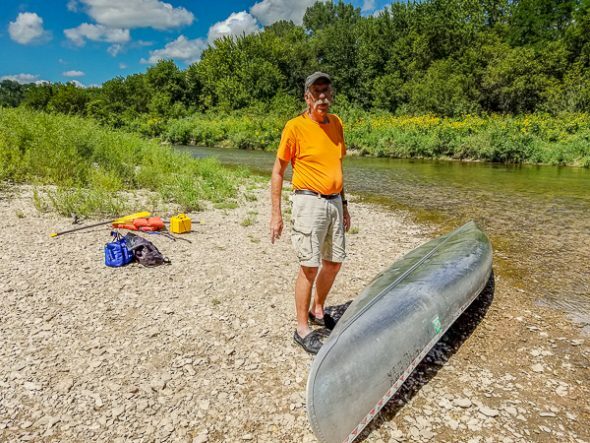 Located in the “Driftless Area” of Iowa, the landscape is hilly and verdant with deep river canyons that you might not expect when you imagine a visit to Iowa. Our first tourist activity here is a visit to the Vesterheim Museum which celebrates the Norwegians who settled this area. On this warm, humid day we are most impressed by the hardiness and knowledge of our 90+ year old outdoor exhibit tour guide. Since being out west, Storm and I have become humidity wimps and start to wilt when exposed to 10% or more humidity, but not our guide – we could hardly keep up with her! 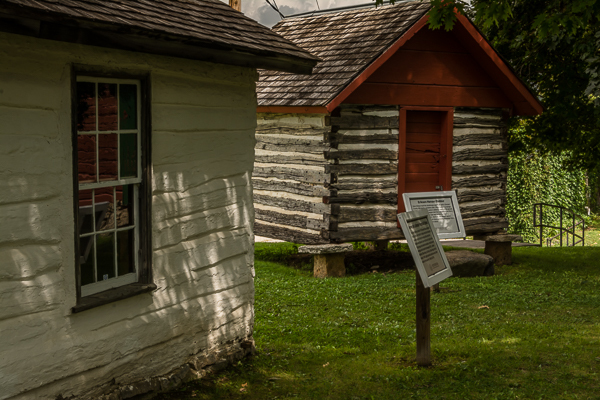 We spend an afternoon in the vibrant Decorah downtown enjoying the old buildings and stores. We come back the next day for the farmer’s market – fresh vegetables and sweet wine all in one place – outstanding! As a grocery store aficionado I am extremely impressed with the Fareway Grocery where the customer to employee ratio is about 1:1 so there is never a checkout line and they insist that they be allowed to carry your bags to your car. The employee standard uniform is black pants, white button down shirt and black tie and if you so much as glance at their bountiful meat counter, one of the well dressed meat counterpersons will promptly offer to assist you with your selection. To give you an idea how vast that selection is, they offer both Blueberry and Blue Moon Brats! Well maintained walking and biking trails traverse this town and a meandering river for floating, kayaking or canoeing runs along the town edge providing plenty of refreshing summer fun just a few steps from our RV. 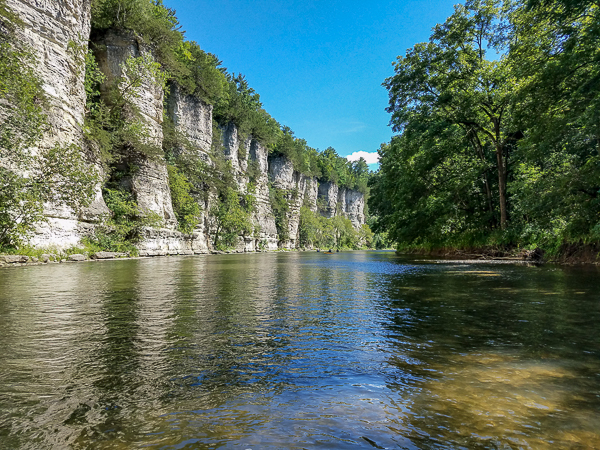 On Sunday we rent a canoe in the town of Bluffton a little northwest of Decorah for a trip through amazing bluffs. I recommend Decorah for a summer respite, but beware of the winters here which Russell assures us are too brutally cold for a delicate southerner like myself to endure. Not only are pictures, but your writing really flows. Good job. Coming from you that means a lot – Thank you!!!! Beautiful! 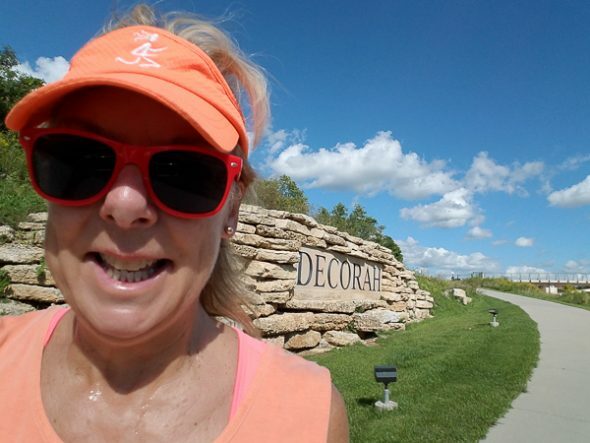 I want to vacation in Decorah! You would love it there! We are so glad you came to visit our little corner of the world. And, we are thrilled that you enjoyed your time here – thanks for sharing your experience on your blog! Come see us again soon!! We are already looking forward to next year. Thanks for sharing your town with us! In deep pain, people don’t need logic, advice, encouragement, or even Scripture. They just need you to show up and shut up.